Description Postcard. Pinholes in corners. 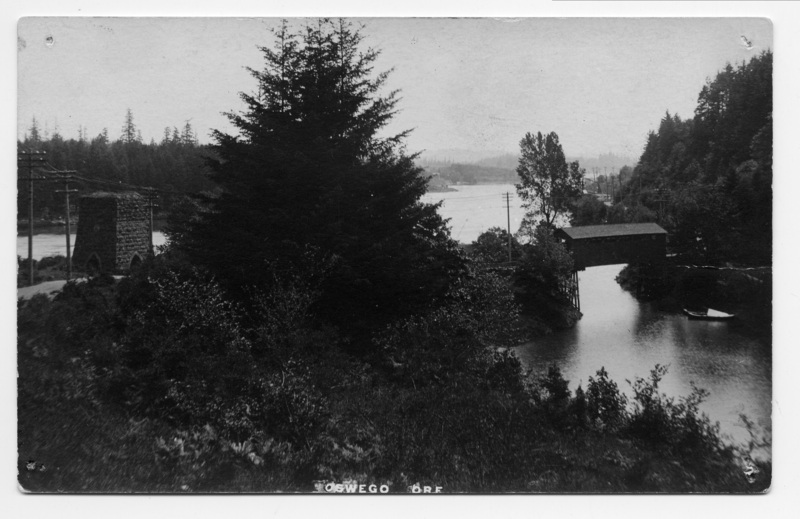 same as 82a, c, & d. The bridge is now a footbridge in George Rogers Park. on front: Oswego Ore. Physical Description H 3 1/2" x W 5 3/8"